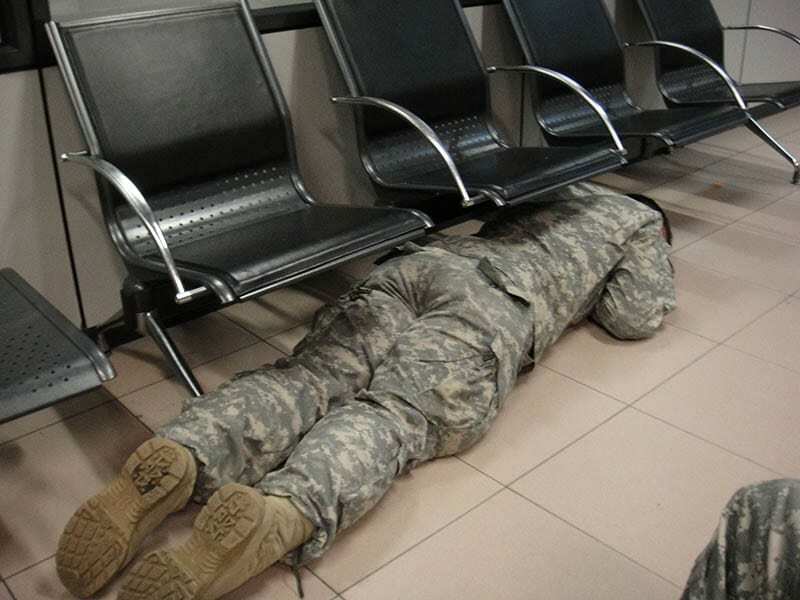 When you’ve become acclimated to the military lifestyle, you can sleep anywhere at any given time. The floor is the same thing as a bed. A pillow is the same thing as your backpack. And of course, a sweatshirt is just as good as a blanket. Not only that, but any soldier knows that waking up from a nap quickly and yet, completely coherent is the true sign of a present or former military personnel. With all due respect to the ladies who do our laundry the best, being a military service person automatically deems you the leading official of ironing in the house. By now, you know how to iron almost any item of clothing thrown your way, especially when it comes to t-shirts. There needs to be that one special crease. It doesn’t matter where you’re walking. 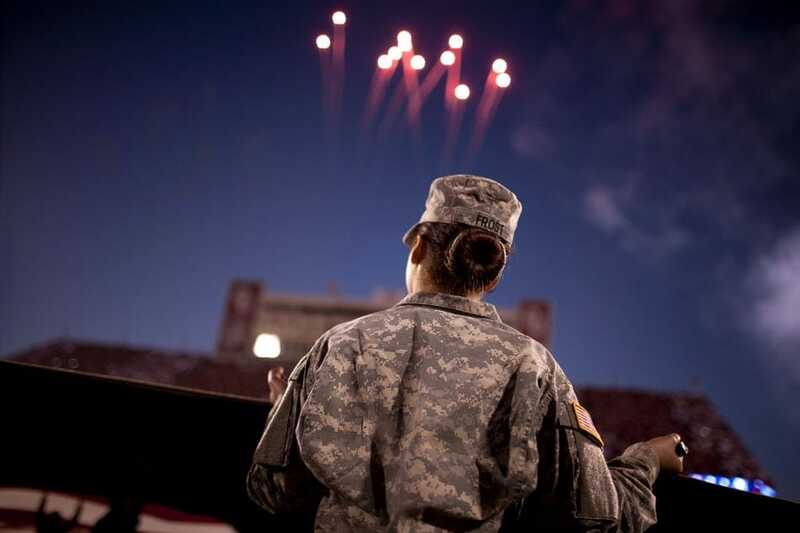 The walk of a military man or woman signifies a sense of purpose and discipline and even the farthest of observers can sense that a mile away. 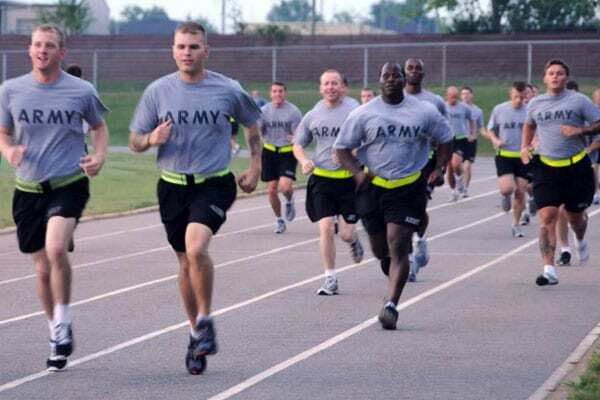 Not to mention your speed – you’re quick pace is a dead giveaway for your army experience and quite possibly, your rank. When you’re in the military and raising a family at the same, you can bet your bottom that those kids are going to learn and comprehend military time fast! Bedtime isn’t at 8 pm in your household, it’s at 20 hundred hours and pick-up time from school is sixteen-forty hours, not 20 minutes to 5. In the long run, you’re only keeping them more educated than their classmates and peers. 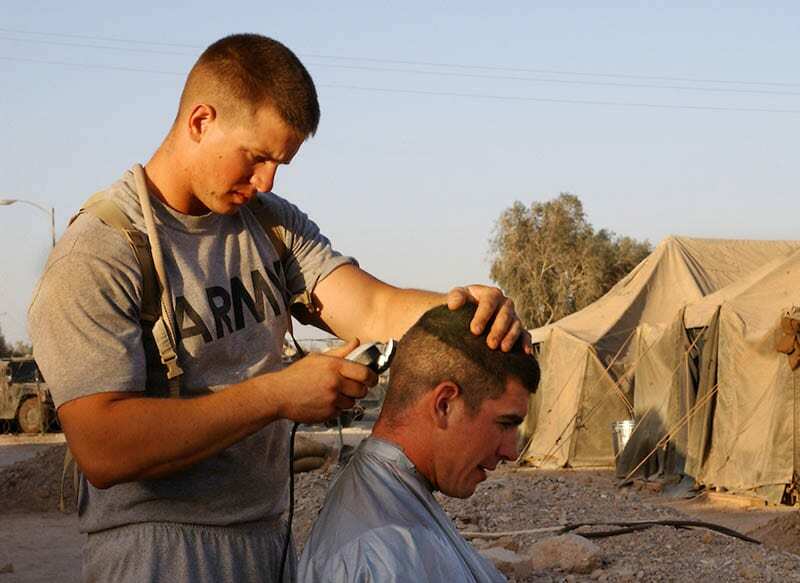 Okay, so if you’re a military veteran then chances are you’ve retired the buzz-cut but that doesn’t mean you haven’t kept to some form of a derivative instead. If the buzz-cut isn’t your thing anymore, you might be rocking a pilot-style or officer-inspired haircut. One thing is for sure, though. No civilian has the same haircut as you. 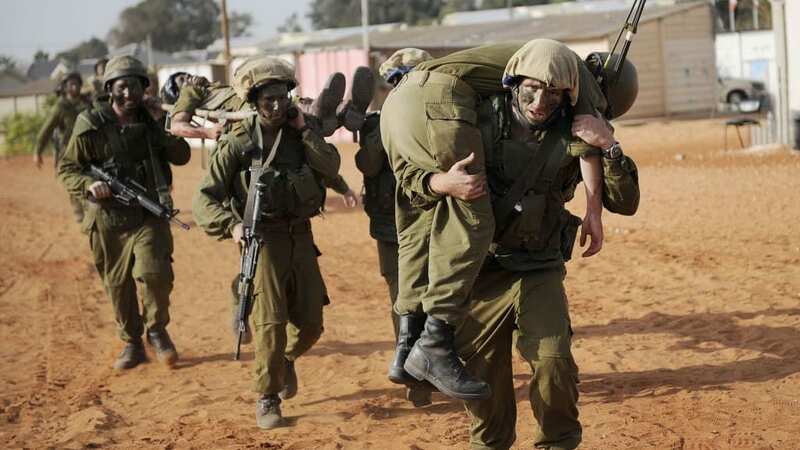 Any properly trained soldier knows the in’s and out’s of scanning a crowd. Whether you’re at a party or your child’s school function, it doesn’t matter. Chances are you’ve found the perfect location (in the corner or by the wall) to scope out the attendees and make sure everything is copasetic. If anyone gets busted acting suspicious on your watch, then they’re in for some real trouble. 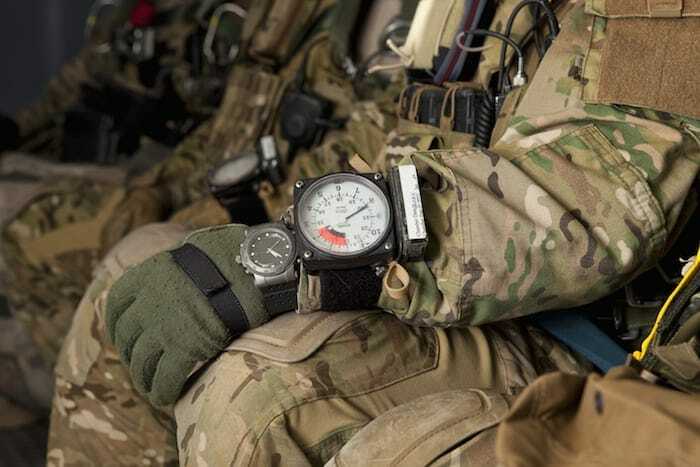 When a civilian tells you to “loosen up” or “relax,” you immediately fall into the stand at ease position. To a military member, this is relaxing! 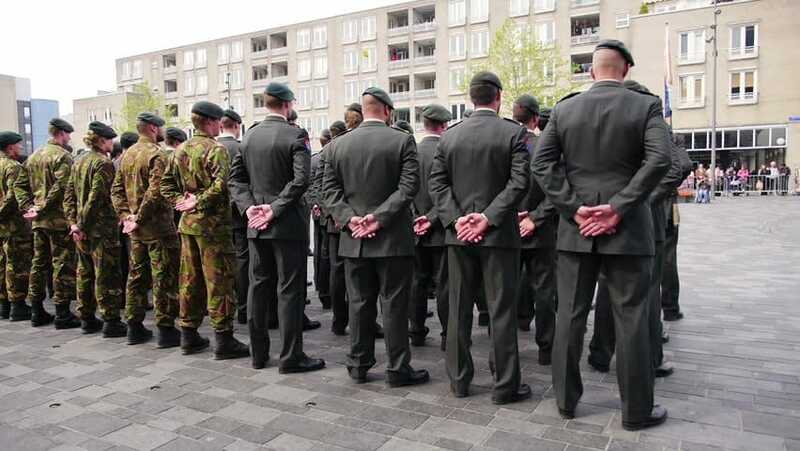 Most of the time, standing in the military version of a relaxing position comes without consciousness. 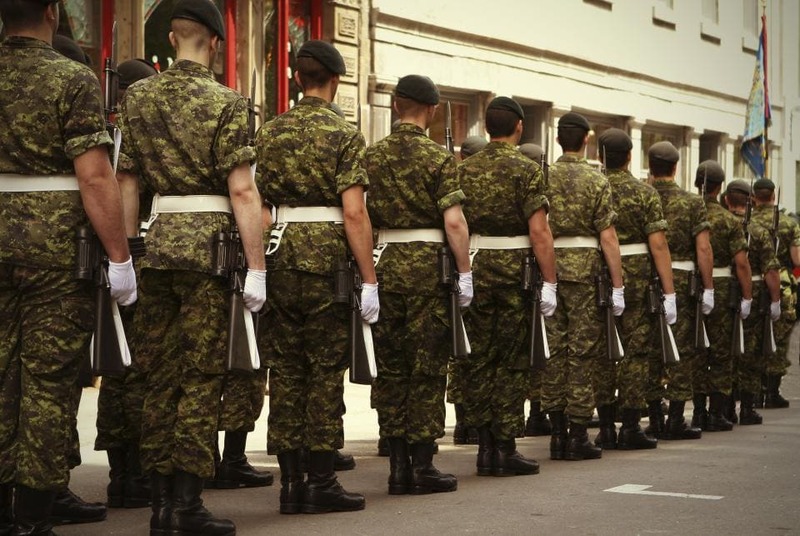 Politeness is a natural side effect of joining the military. 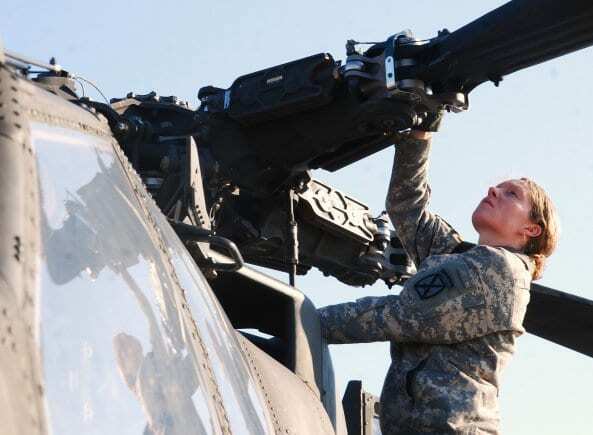 “Ma’am” and “Sir” become staples in your vocabulary and once you’ve either retired, traveled off base, or are relieved from duty, you’re still using these terms in everyday conversation. It doesn’t matter with whom you’re interacting with, whether they’re military personnel or a local cashier, they’re going to receive unconditional respect. Eating fast didn’t just become a time saver for you, it’s now an essential way of life. Who needs to enjoy their fuel when they can get back to business and burn it off right away? Not you, that’s who! Besides, not all habits are necessarily ones that you feel the need to kick. 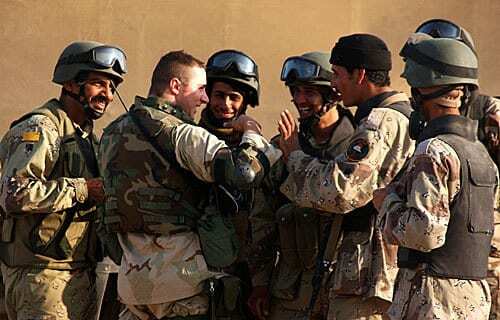 Military jargon (slang for those civilians, out there) is a dead giveaway for any service men engaging in conversation. Responses like “roger that,” “negative,” “fubar,” and “zero foxtrot” aren’t normative in the average, civilian discussion. Using these slang words will result in one thing and one thing only – explaining what they mean to the people around you. 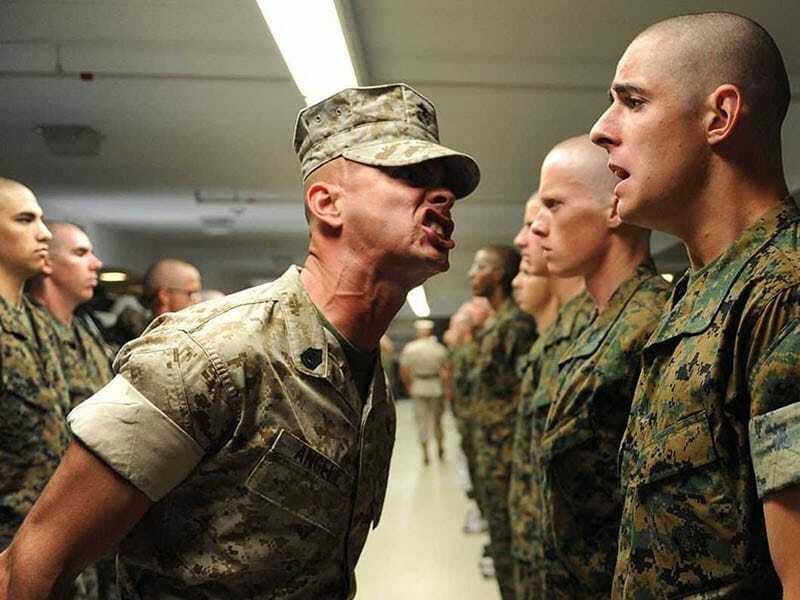 Swearing like a sailor may depend on the military personnel but it’s hard to deny that once you’ve entered one form of military branch or the other, a curse word here and there becomes a staple in your vocabulary. 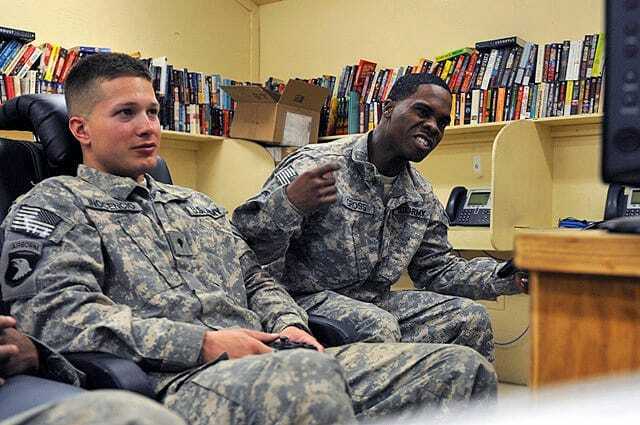 Most civilians are surprised to learn just how often military members and veterans curse! What’s so shocking about that? 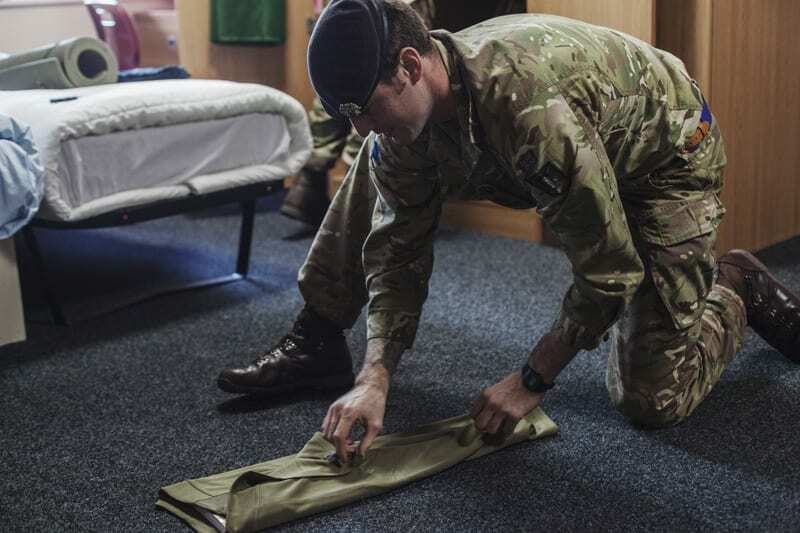 In the army, a soldier knows how to keep his or her uniform spick and span! This includes your entire wardrobe, especially your shoes. Chances are when you and your partner get ready to go out for date night, you’re the one taking longer to get your outfit together. You manage to be dapper no matter what and they’ll thank you for it later. Your refrigerator at home is decorated more than your uniform. Actually, it may be decorated just like your uniform depending on your rank. 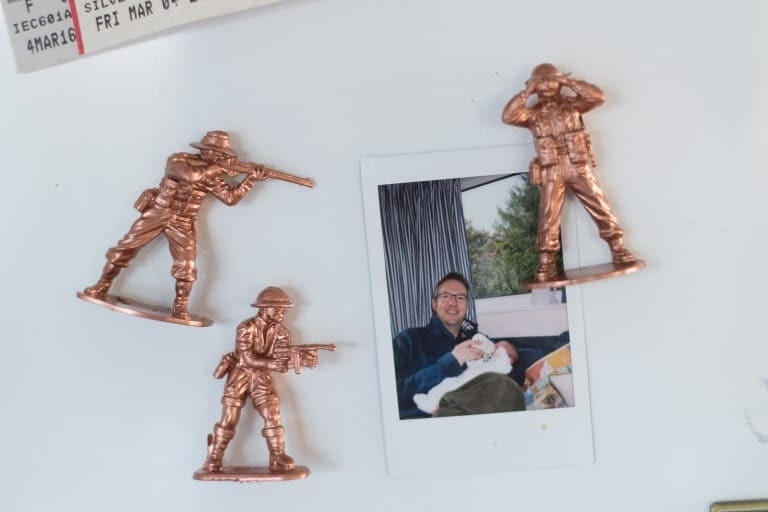 Your kids have drawn pictures of you in your army attire, rewards, medals, photographs, and even magnets that remind you of the army are up there. 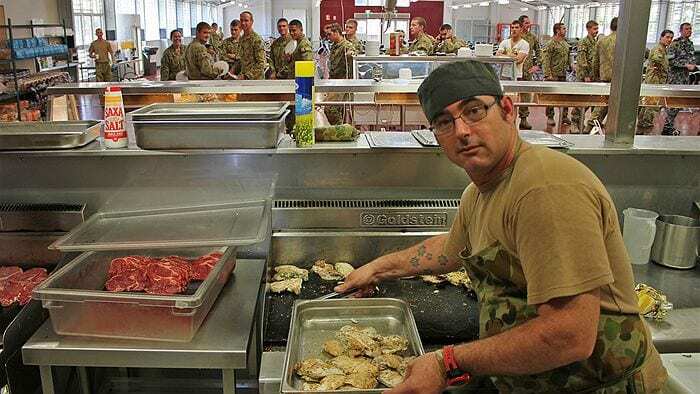 You never called the kitchen on your base the “kitchen.” Instead, it was known as “the mess” and when you get home, whether it’s for a week or for good, you still call it the “the mess” to your family and friends. 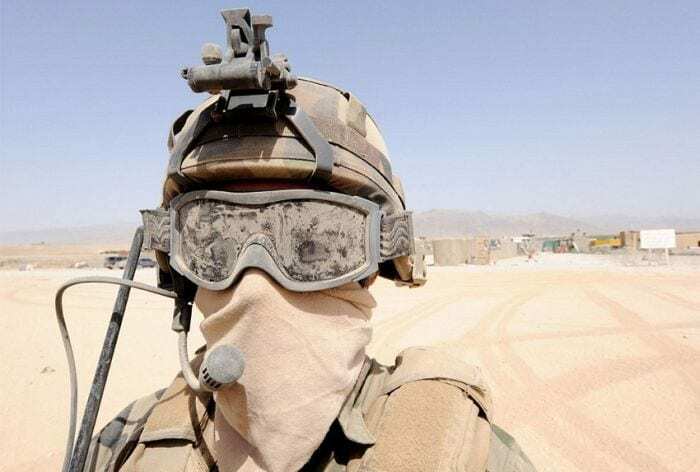 It’s just one of the smallest attachments and pieces of nostalgia that keep you connected to your military roots. You’ve mastered the skill in real life so it shouldn’t be a surprise to anyone when you put them to shame in a video game. Call of Duty is child’s play compared to what you can do with a weapon. That includes holding it, shooting it, and reloading to go another round! 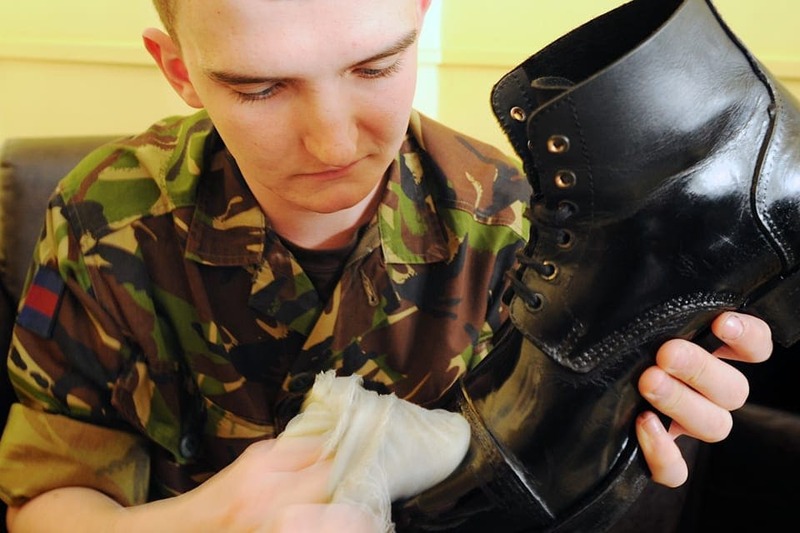 For those Navy or Marine soldiers and veterans out there, black paint is the equivalent of boot topping. 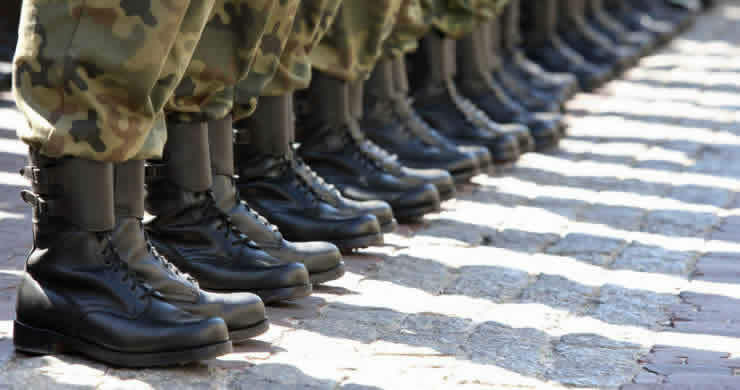 Boot-topping (for civilians reading this list) is the interface coating used between waterlines and decks. It’s a murky, dark material made out of sulfur or lime. When you see black paint, there is practically no difference between the two. This may just be a difficult habit to break, but when standing in line at the bank or grocery store (or wherever!) you remain silent. 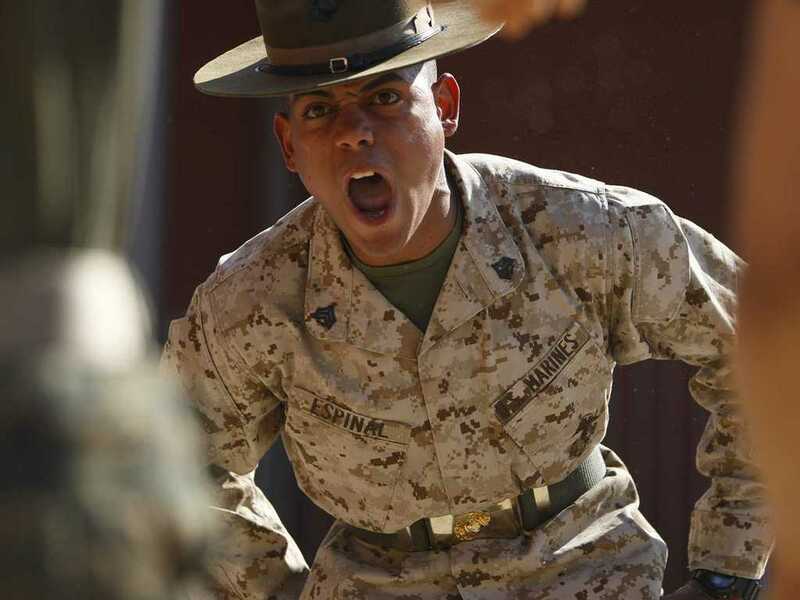 In the service, you’re taught to keep quiet out of discipline and respond to the leader of the line out of respect. This telltale sign is one that certainly never goes out of style! 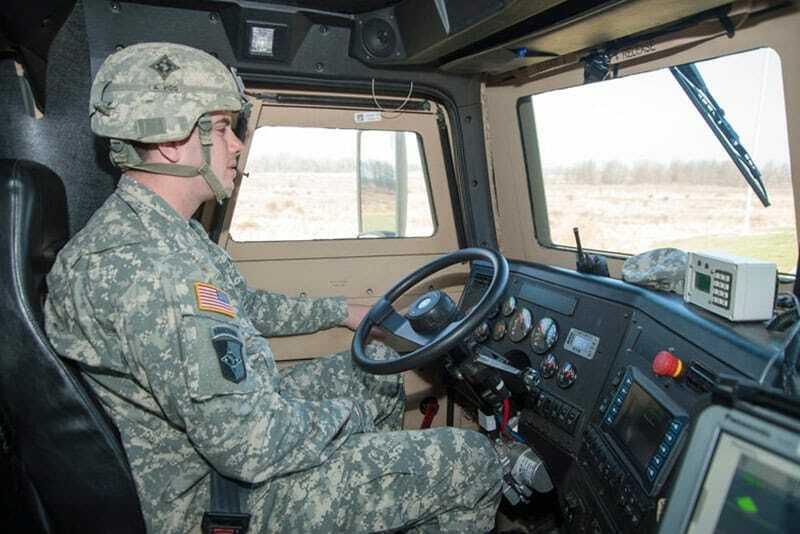 A preflight check may be designated for air crafts in the military but when you’re at home, it doesn’t hurt to perform the same type of investigation on the family car before going on vacation. It’s just another safety precaution that benefits everyone and hurts practically no one. So, all you civilians out there – just let it happen! Checklists make the world go ’round – do they not? 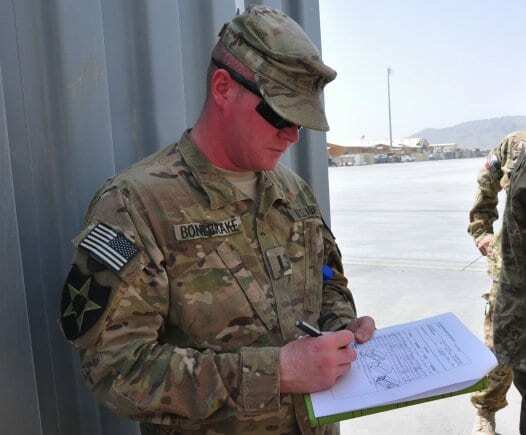 Any military veteran or enlisted soldier knows that in order to be efficient you need to create a checklist and follow it dutifully. How else would you remember everything you need to do in one mental sweep? This telltale sign may be more relevant to anyone who toured overseas. Fireworks, especially the loudest and largest cracking ones on the block, make you jump in your skin a little bit. The celebratory explosions remind you of what to be wary of and sometimes, it can even give you a flashback or two. The true test of those who care about you most will honor this and refrain from making you jump with the pyrotechnics. 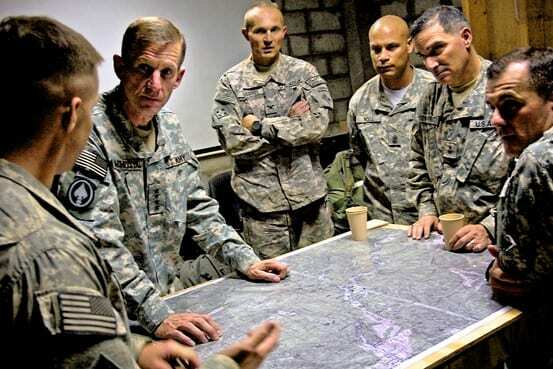 The power stance is critical when you’re an army officer or general. 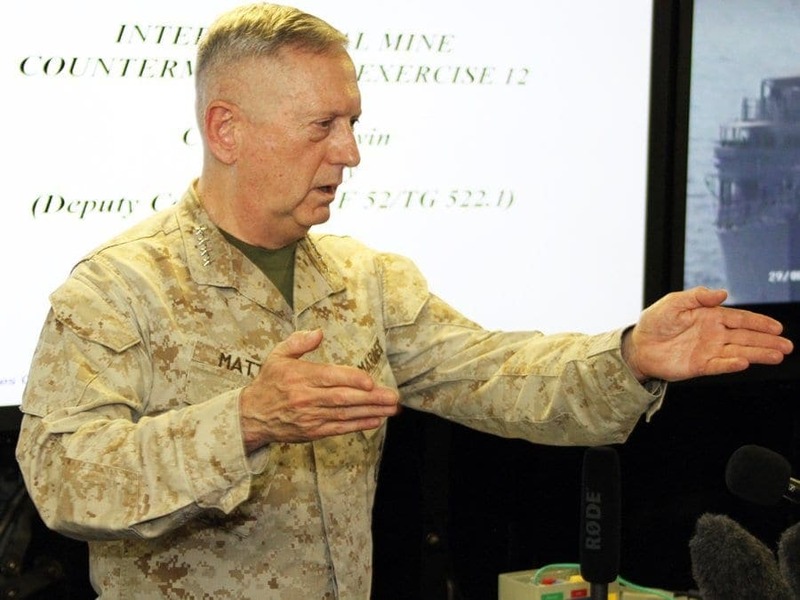 If you’re off-base or retired from the military you still carry around that particular stance that says you’re in charge of the room. 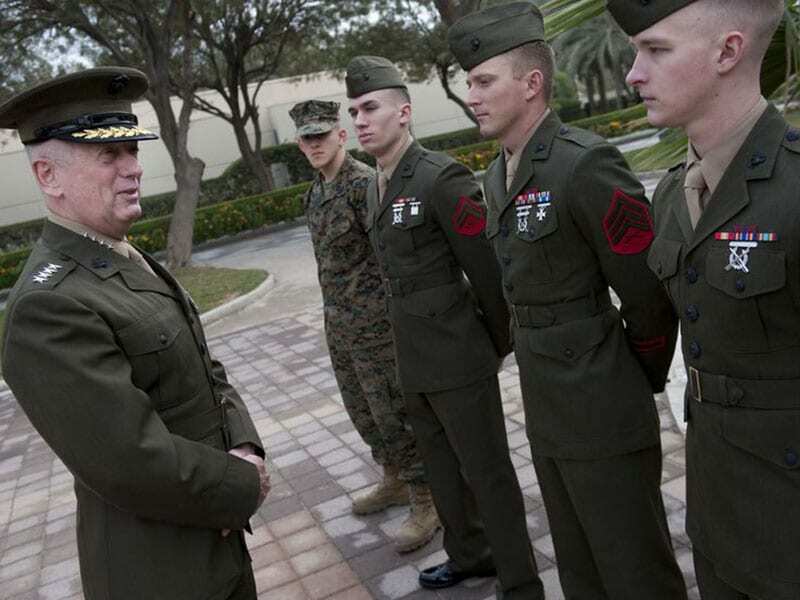 The boss is always easy to spot by finding the military personnel in the room who has their thumbs down through their belt or has their arms crossed sternly and proudly. 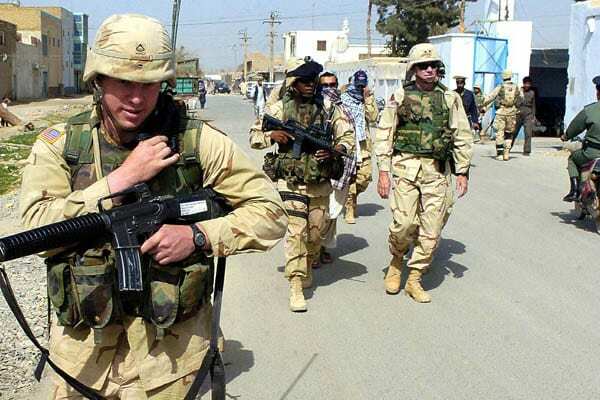 For military members who walk around in a group, it’s almost impossible to not fall into step at some point during your travels. Not only that, but the civilians around you can clearly tell when you’re an army squad; remember when we said your walk is a dead giveaway just by presence alone? Well, a group of you exponentially increases that powerful presence! Acronyms like WAG, SNAFU, KISS, and BOHICA usually find their way into most of your sentences. It’s impossible for you to get your point across or give a request without falling back on one of these great classics. You usually end up having to explain their prolonged meaning (and pronunciation) but doing that with jargon alone makes you prepared to give out the military terminology lessons. Before backing up, you always beep your car horn twice to warn any potential civilians walking around your vehicle’s rear. Also – whenever you hear a car horn blaring, you frantically look up and down the perimeter for the nearest trench or ditch! This protocol exists for a reason; better safe than sorry! Standing for the flag is a sign of respect and whether or not you’re still enlisted, you’re still going to stand for it when it passes you. 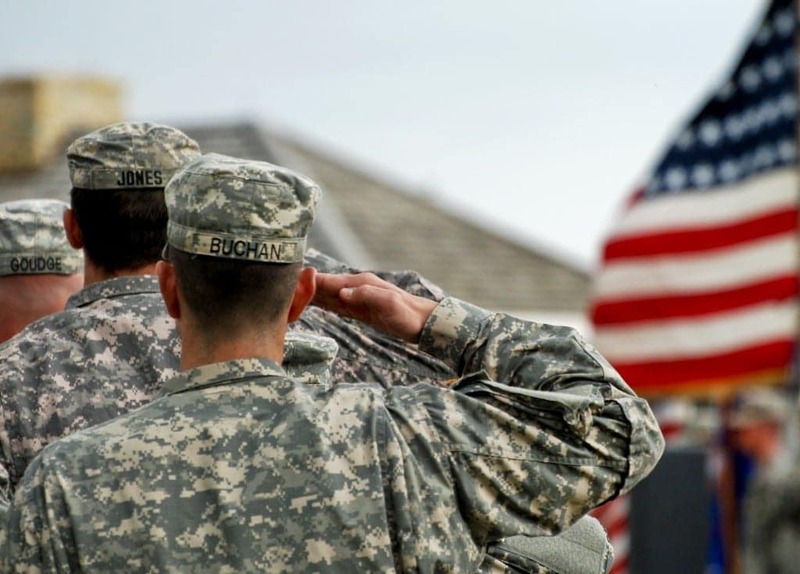 For veterans of the military, you can now continue to salute the flag if you wish. President George W. Bush made sure that you maintained that right for the rest of your lives. When you enter a restaurant and pick a seat at your table, your back is always facing the wall. This was just another safety precaution that was engraved in your brain during military service and you know what? It serves as a valuable purpose! It’s not your fault if you’re always on the defensive, protecting yourself and your family. 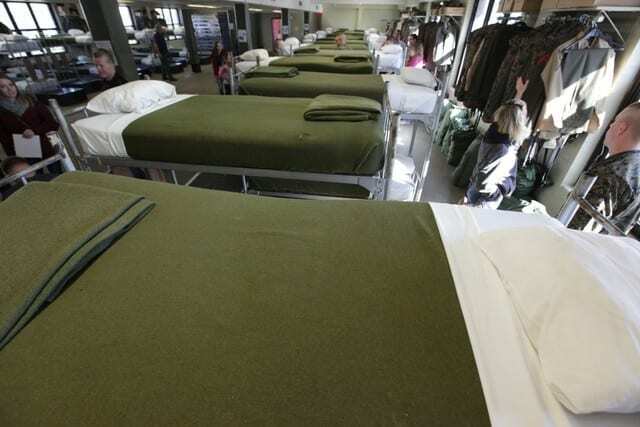 Okay, hospital corners on your bed aren’t exactly “essential” but when you’re at home, you still find yourself making your bed army-style. Your wife, girlfriend, or boyfriend has most likely looked at the corners of your bed and felt confused before asking you why you’re taking your work home with you. 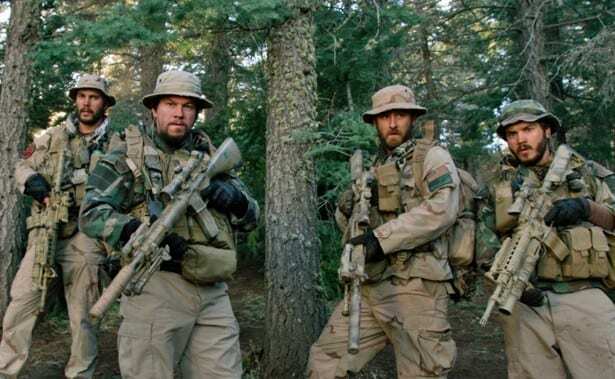 It’s almost impossible for any member any military branch to sit through Saving Private Ryan or Pearl Harbor without ripping the tiniest details to shreds. You’ve actually lived the army life and most of these Hollywood films just can’t get their facts straight sometimes! No matter where you went, your gun was sure to go along with you. 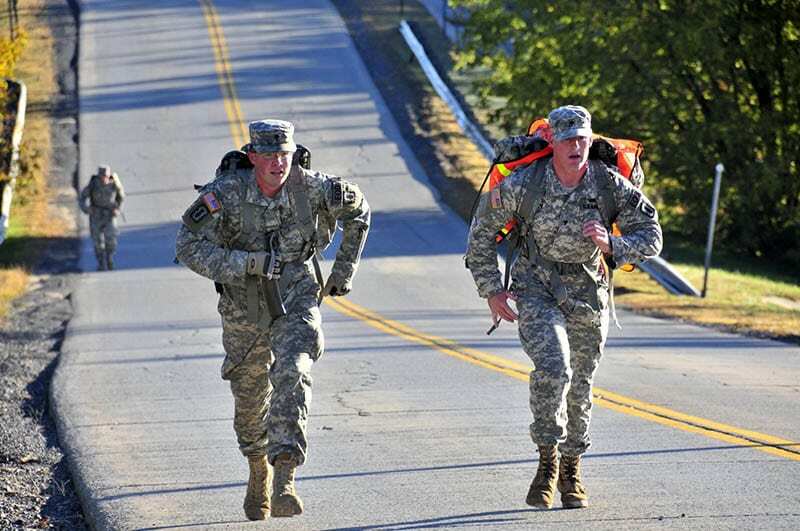 When you leave base or if you’re retired, you do one of two things (if not both). First off, you can almost still feel your gun in your hands if you close your eyes and focus. Second, you frequently leave a room and go back in, only to realize you don’t have a gun on you so it would be impossible to forget it there. If you yourself sit down on the toilet, whistling is an involuntary reflex. 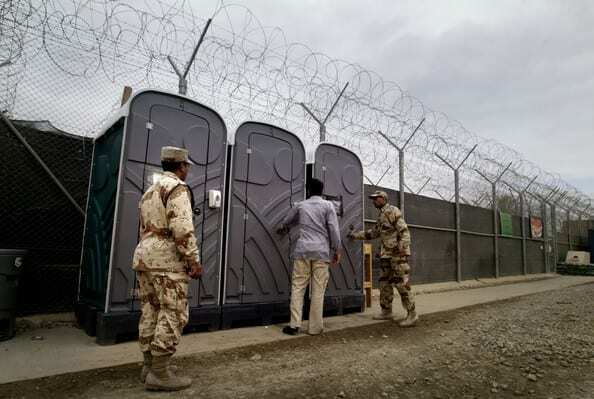 In fact, if you’re standing in or nearby a crowded restroom with other occupants – you start whistling for them! It doesn’t matter if you’re a present soldier or have ben a veteran for 18 years, this is just one habit that won’t ever go away. You remember that civilian that asked you for directions and then looked at you strangely when he noticed you were using “knife hands” to guide the way? Yeah, those suckers can be hard to let go of or strictly use on base only. 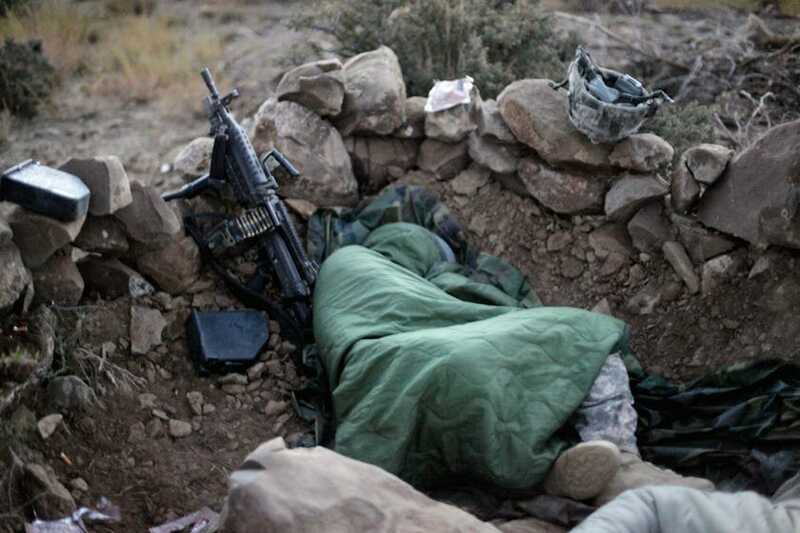 For any member of the military, 7:00 or even 8:00 AM is technically sleeping in! You like to rise when the sun does and tend to your responsibilities early in the day. 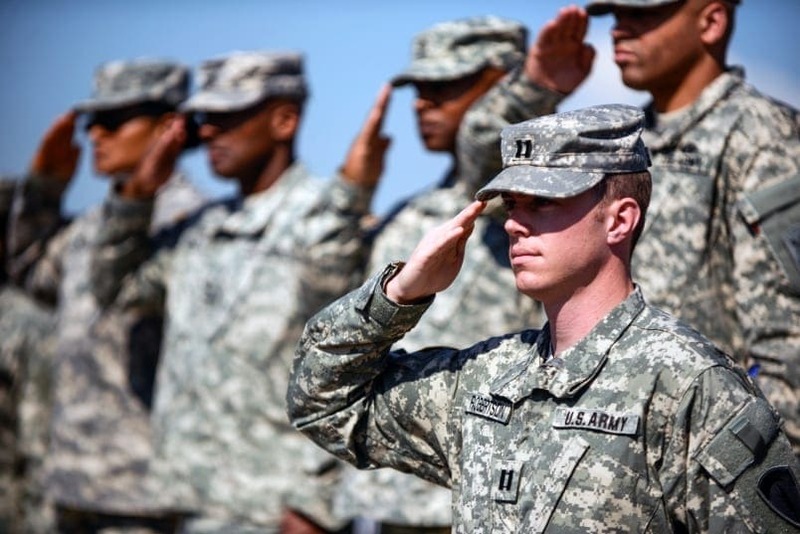 The army may have woken you up earlier than you would have liked to in boot camp but today, you silently thank your drill sergeant for teaching you how to make the most of a 24 hour time period. Leaving early is currently referred to as “bailing” or “disappearing.” Actually, the younger generations refer to it as “ghosting” nowadays. 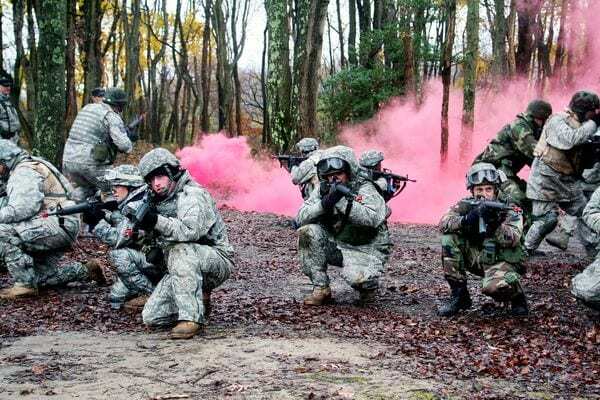 For military personnel, “popping smoke” is the proper term for when you want to make a swift, clean exit. So what if it kills your taste buds in the long run? The key to making any quick, dirty meal taste delicious is a lot of Tobasco! 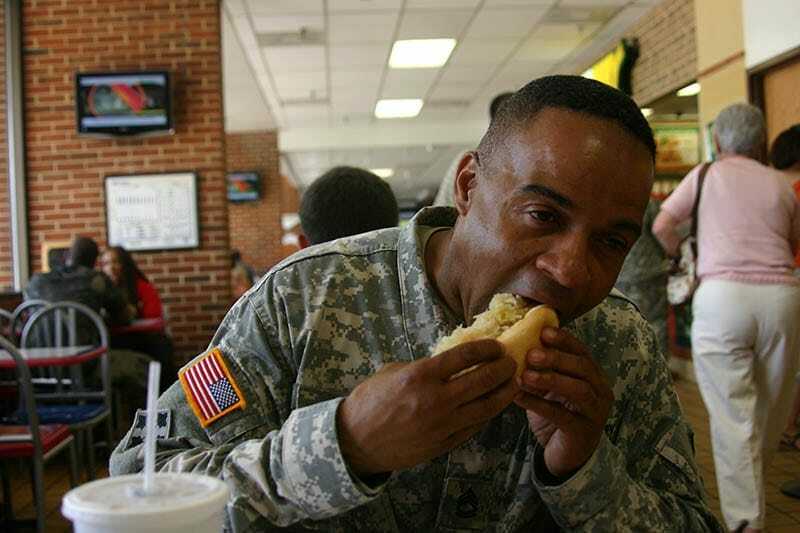 Most civilians run to ranch dressing as their strange topping of choice. 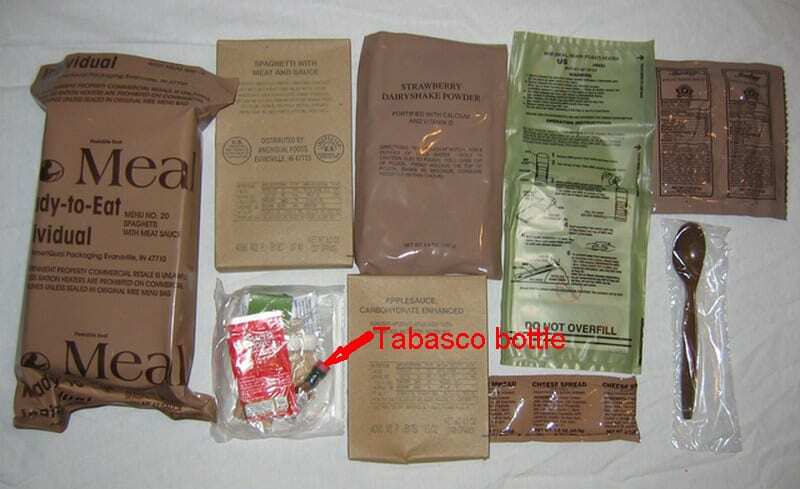 Anyone who was in the armed forces knows that Tobasco is the condiment of champions. You can’t help but to “have something in your eye” when the Star Spangled Banner starts playing. Anyone who doesn’t get choked up by the national anthem clearly didn’t serve in the military. Plus, you feel overprotective of the Constitution. That Nicholas Cage movie must’ve really ticked you off. 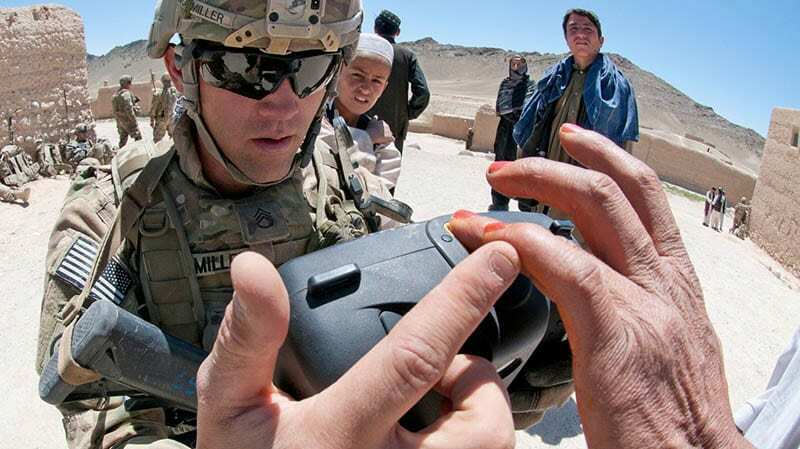 When a civilian wants you to explain something to them, you brief them. When a teacher asks you to present to the class, you brief everyone in the room. This is either just another term that sneaks its way into your permanent repertoire or it’s a way of conversation that civilians just don’t get. We’ll let you decide. Your showers in the service were never long. This was probably due to a combination of cold water and just not having enough time to soak under the showerhead. When transitioning or vacationing in civilian life, it’s easy to forget that you can bask in the warmth of a single bathroom shower. Or, at this point, you don’t really want to. Three words. Whiskey Tango Foxtrot. Without the phonetic alphabet, saying dirty things and certain obscenities wouldn’t be so fun! Besides, when you’re in the presence of a civilian and they need to guess what you say, it’s kind of fun to watch them try and keep up. Spelling your name over the phone is now, like, the easiest job ever. 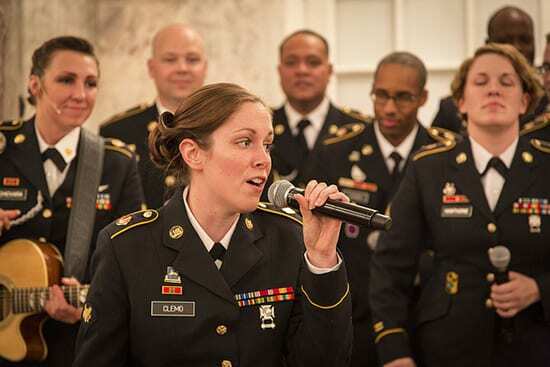 Cadence, the traditional military song, is still ideal when exercising or trying to get any household project done. Sure, the call and response tune always works much better when you have a partner to duet with but hey, it still sounds good on your own. 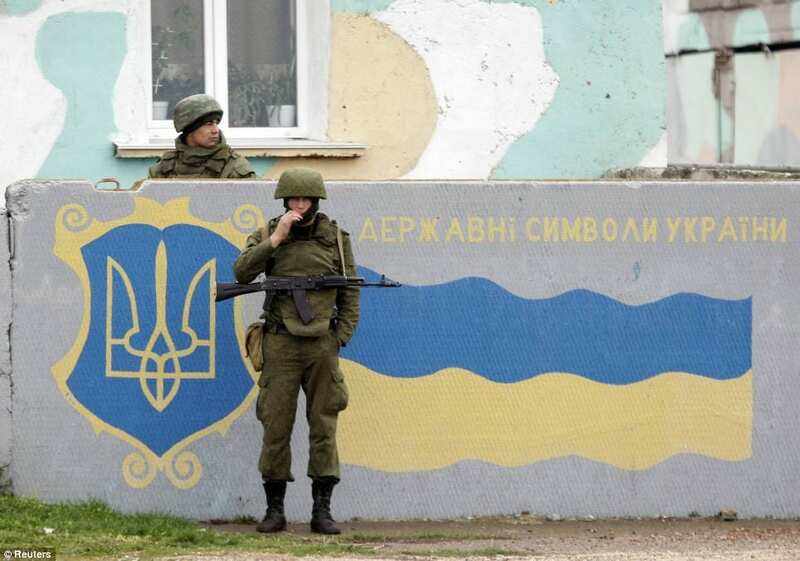 … army people and civilians. 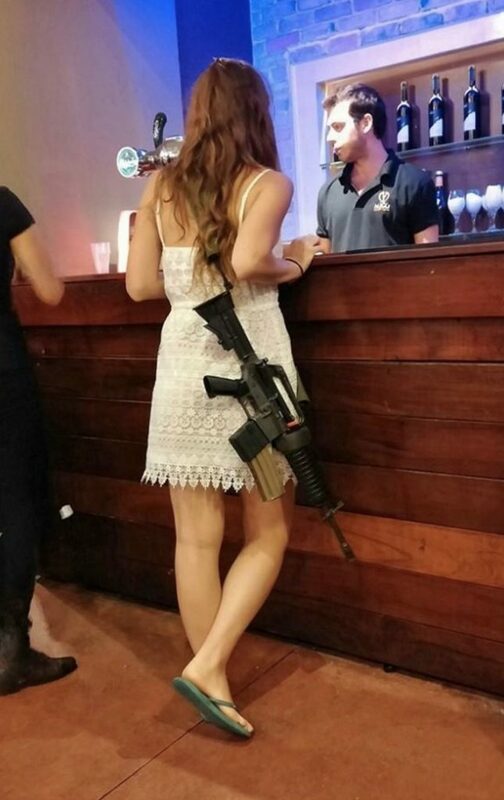 You can pick out a civilian any time, any place. This is usually done by checking out their shirt collar, their haircut, their walk, and the way they behave when standing in line. 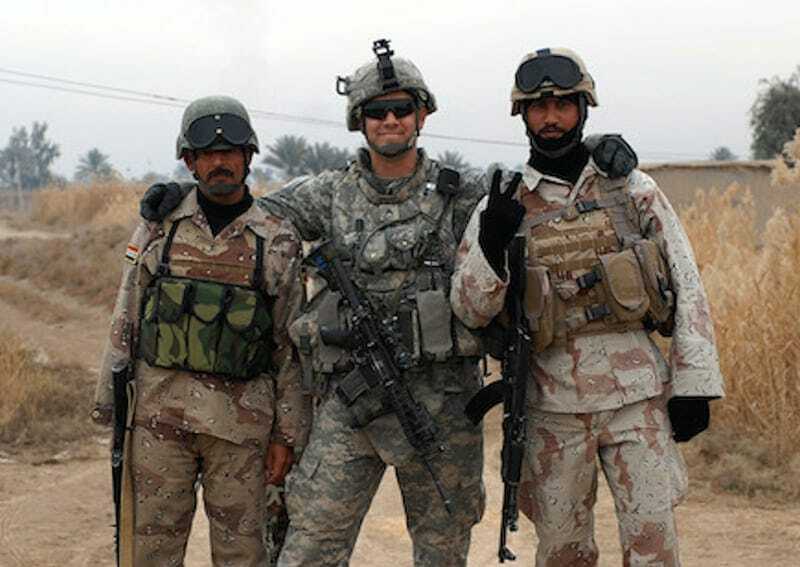 To a soldier, there is only “us” and “them.” Don’t get us wrong, though. 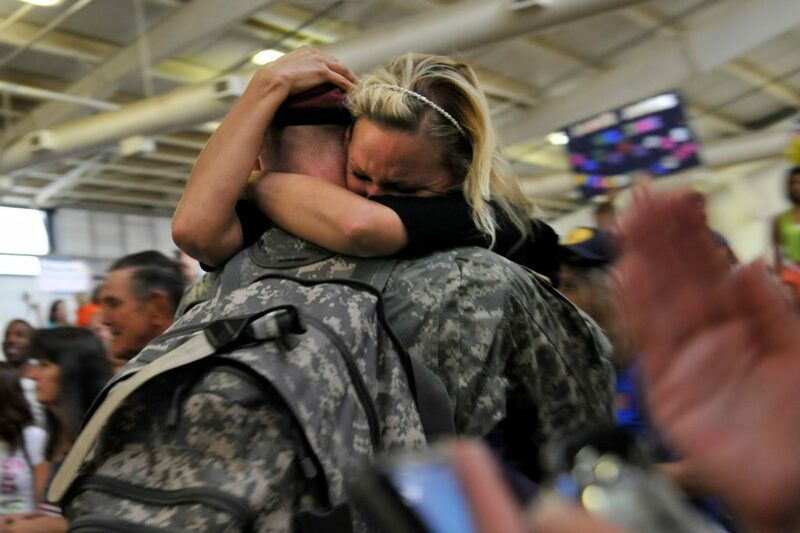 We civilians sure are appreciative and proud of our past, present, and future soldiers!